Mecha Robot - is basically a giant version of a normal robot, with deadly weapons installed on it. It can be used, mainly to fight surpassing number of enemies and save a life to its pilot. 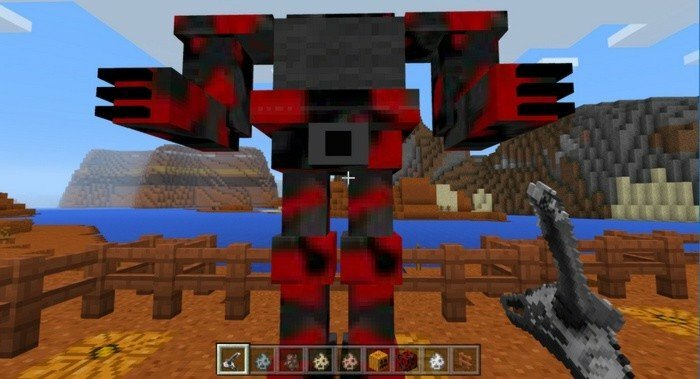 To summon Mecha you will need to build totem, just like for Iron Golem - using 4 iron blocks and 1 pumpkin. To ride it and steer, you will need to use joystick - which is carrot on a stick, actually. You also may want to build yourself a protective armor, that looks similar to the Mecha style, in order to look classy. Mecha can automatically attack hostile mobs in sight while you on it, if you switch to something but joystick. 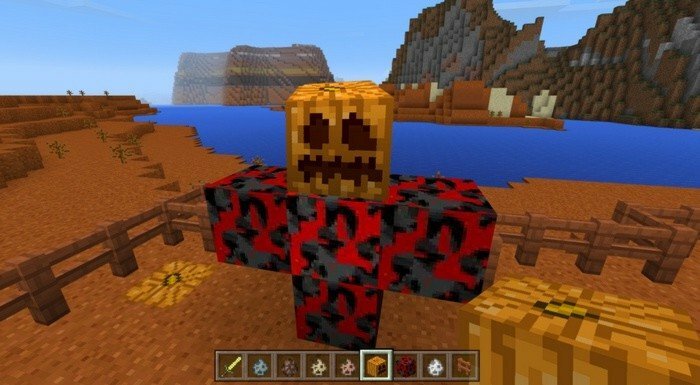 Use iron blocks to build a totem and place a pumpkin on top of it.